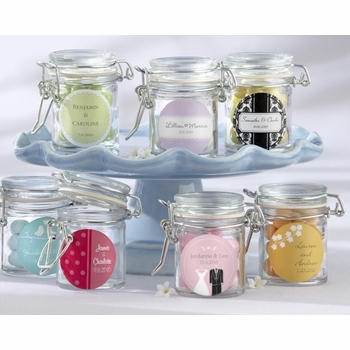 These personalized jars are a great baby shower favor. 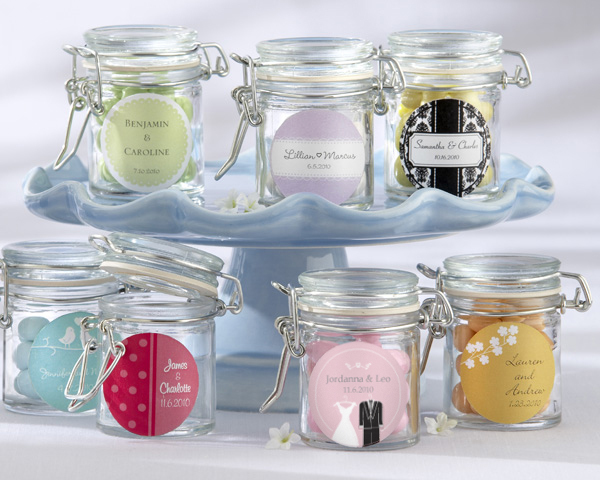 Just like the classic, glass canisters you'll find in a contemporary kitchen, only smaller and sweeter! Fill the jars with a tasty treat, and treat your guests to a unique, miniature marvel - from the one and only Kate Aspen. All favors are custom made to order and ship directly from the designer. Please note that due to the weight of this product additional shipping surcharges may apply for larger orders.